Do you know why you part your hair the way you do ? It’s because the “hair part” represents the area of the scalp where the hairs change direction. The part usually consists of the temple hairs on the outside, and top hairs on the inside. The temple hairs generally grow downward, while the top hairs generally grow forward. As a person begins to lose their hair, the part gradually disappears as well. Take this patient of Dr. Sam Lam of Texas. When young he had a very full head of wavy hair. As he aged he lost his hair and his part. After a while he decided to address the problem by working with Dr. Lam of Texas to come up with a plan. Notice the new “part” in the hair. No hair transplant, no part ! In the end they decided to use his available donor area to create what would look like a completely covered scalp from front to back. To do this, however, the hair transplant would have to be polarized. In other words, Dr. Lam would place more grafts on one side and then comb the hair over to the other side to maximize layering, thickness, and coverage. The fringe benefit of this plan was that the patient would regain his hair AND his part for the first time in years. Notice that Dr. Lam also expertly rebuilt the hairline as well. Since this is where the part always begins it was crucial that he not only get the position of the hairline correct, but the density as well. 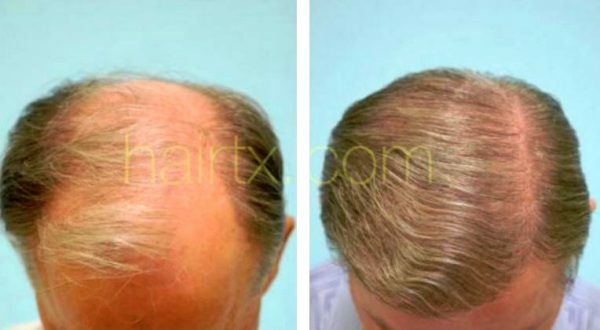 Mastery of this sort is NOT easily found in the hair transplant field, but in Dr. Lam’s office it is an everyday occurrence. Dr. Sam Lam HTW Profile.